Once again, “African-American History Month” is upon us. One such person is George Samuel Schuyler. The reason is simple: Schuyler, in spite of being one of the most incisive and compelling popular writers of the twentieth century, wasn’t just black; he was black and conservative. Born in 1895 in upstate New York, Schuyler would eventually become associated with “the Harlem Renaissance.” And from the 1920’s through the 1960’s, he wrote for and edited The Pittsburgh Courier, one of the largest black newspaper publications in the country. During this time, Schuyler authored what many regard as the first racially-oriented science fiction novel, Black No More. His 1966 autobiography, Black and Conservative, has been credited by no less a figure than the black Ivy League left-wing scholar Cornel West as a “‘minor classic’ in African-American letters.” The famed iconoclast H.L. Mencken, of whom Schuyler was a protégé of a sort, described the latter as perhaps the ablest writer, black or white, of his generation. Besides being an ardent anti-communist, Schuyler also had little good to say about those of his contemporaries who lead the civil rights movement of the 1950’s and 1960’s. Although he had been a tireless champion of racial equality for all of his life, he regarded the plans of the civil rights activists as inimical to liberty. For instance, while it was still a bill in Congress, Schuyler argued powerfully against what would become the Civil Rights Act of 1964. 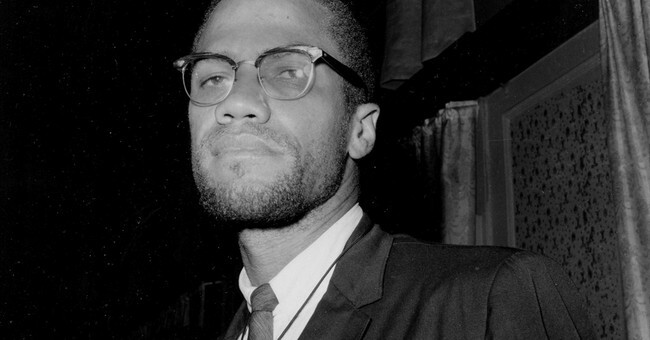 Upon meeting Malcolm for the first time, Schuyler admits that he “was initially astonished by his wide ignorance.” He explains that when Malcolm “launched into an excoriation of white people in the name of Islam, I called his attention to the fact that the majority of Moslems were whites [. ]” Malcolm, he continued, was no better prepared to reply to this revelation than he was Schuyler’s assertion that Moslems were more involved in the African slave trade than were Europeans. “He was surprised to learn this,” Schuyler recalled. Perhaps it’s for the best that George Schuyler’s is not among the names that we’ll be hearing this month. Given the lover of individuality that he was, Schuyler would never have wanted to have been remembered as a black man. But we should remember him for the man that he was, a man who waged a relentless campaign for truth and freedom and against the fashions and cant of his day.